HONG KONG—Preparatory talks are under way in Hong Kong between the student protesters and the government, but all signs suggest that normal life is not returning to Hong Kong anytime soon. 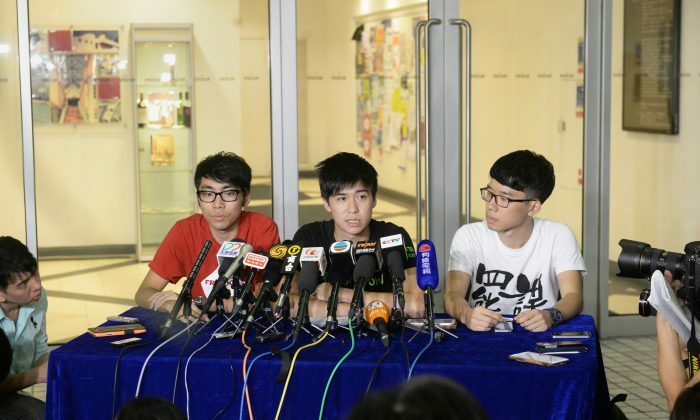 On Oct. 6, during the second round of preparatory talks between student representatives from the the Hong Kong Federation of Students and Ray Lau, Undersecretary of the Constitutional and Mainland Affairs Bureau, both sides have agreed to have multiple rounds of discussion, with both sides on an equal footing, and with any agreement to be enforced by the government. Yet students are wary of the officials speaking to them. In April 2010 Ray Lau declared on the television program City Forum that Radio TV Hong Kong should play the dual roles of being the mouthpiece and supervisor of the Hong Kong government, which angered many people in Hong Kong. Radio Television Hong Kong is the public broadcaster of Hong Kong. The voting record of Lau during his tenure as legislator of the Democratic Alliance for the Betterment and Progress of Hong Kong does not bode well for the students’ demands. One person offering an overture towards the students was Tung Chee-wha, former chief executive of Hong Kong, and vice chairman of Chinese People’s Political Consultative Conference (CPPCC) National Committee. That Tung addressed himself as “we” instead of “I” suggests the Chinese authorities would share his view to some extent, according to Apple Daily. In September this year, Tung Chee-hwa led a delegation of business leaders in Hong Kong to meet with Chinese Communist Party leader Xi Jinping. 80 faculty members, including To Yiu-Ming, assistant professor in the Department of Journalism at Hong Kong Baptist University, issued a statement asking the government to take a step back and calm down. It asks the government to talk to the students and respond to their demands to avoid further social division on Oct. 5. “Leung has not been willing to give in an inch. Every time there is a dialogue opportunity, something would happen, like thugs attacking peaceful protesters,” said Professor To. Formal talks between student representatives and Hong Kong government officials will commence on Friday, a potential step to ending the stand off known as Occupy Central.